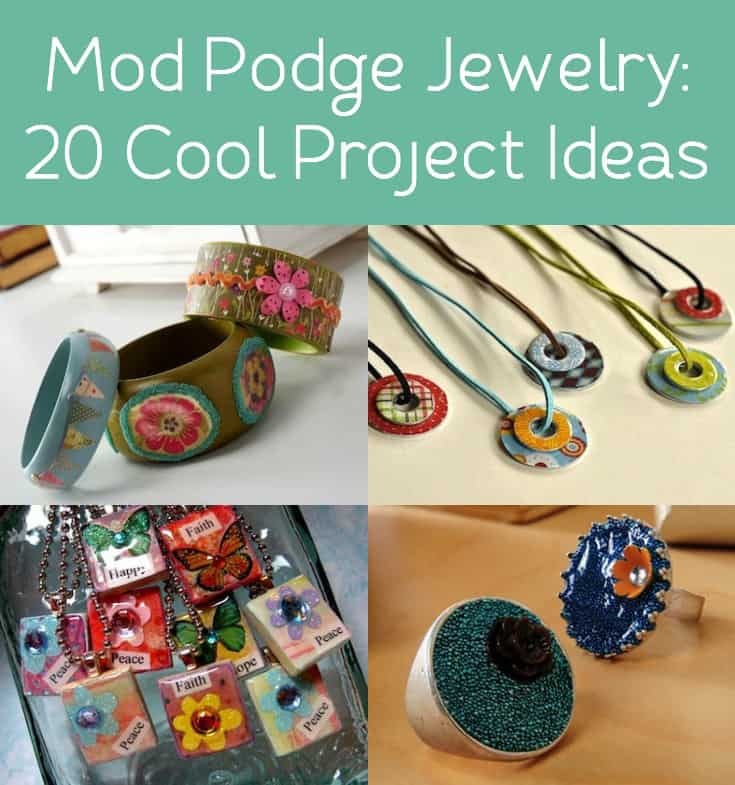 If you've never tried Mod Podge jewelry before, here are 20 ideas you'll love! 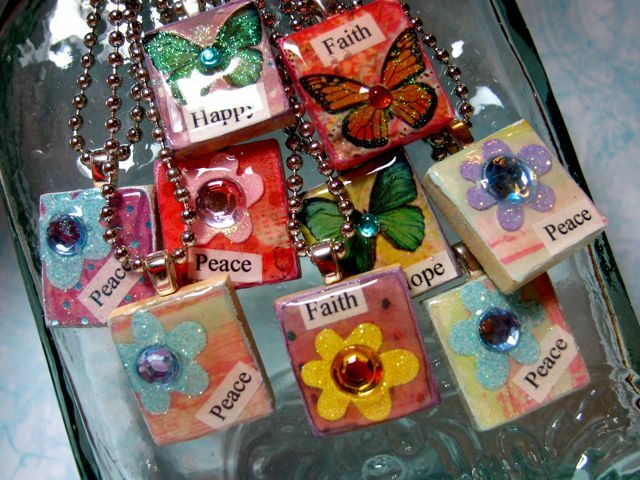 Decoupage jewelry is fun, easy and great for gifts. Scroll down to the bottom of the post to get a bonus video of a DIY photo bracelet! Cathie and Steve will show you how to make an awesome jewelry piece with Dimensional Magic. Lately I've been seeing an influx of decoupage jewelry ideas, and I thought about it – I too love making Mod Podge jewelry! In fact, I've made quite a bit. The reason I'm so obsessed with it? Because it's easy (I'm not talking fancy wiring here), it's relatively quick, and you can use up items from your stash (scrap paper, embellishments, etc) since the items are typically small. I also love the gift-ability of it. Before we dive into how to make jewelry, I want to share some tips for success. First, I'll discuss Dimensional Magic and then my preferred supplies. Then you'll be ready to try! I'm going to introduce you to a really cool Mod Podge formula that you're going to love using in your decoupage jewelry projects. It's called , and it acts like a resin, but it's non-toxic. 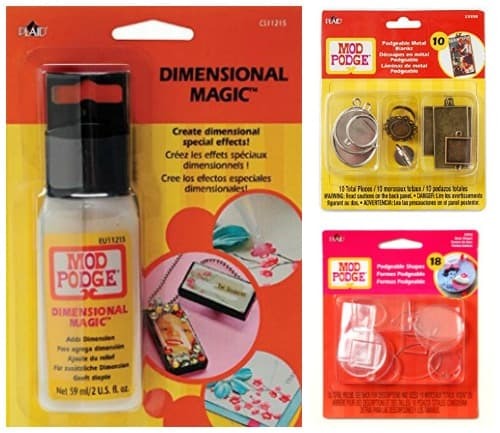 Dimensional Magic – even though it's a Mod Podge product – is not used to glue things down. Instead, it's used to put a glossy-like finish over the top of your jewelry crafts. 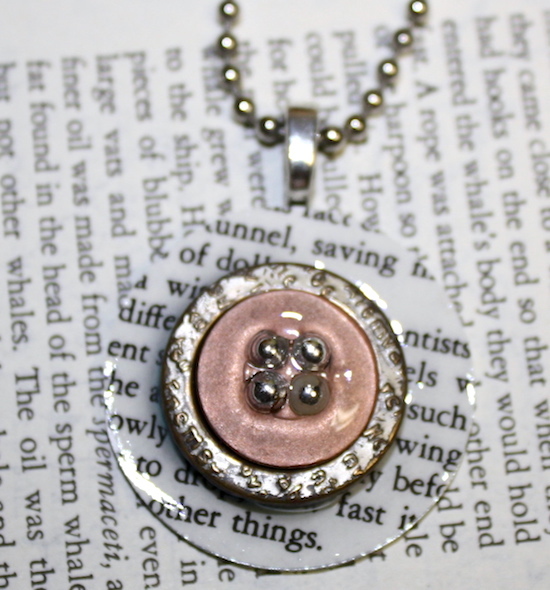 Let's say you Mod Podge a piece of scrapbook paper to the top of a pendant. What do you put over the top? You really need to see it believe it, but it adds a special finish over the top and your piece will look complete. The finished is raised, hence the dimensional part of the name. It's also truly magic, so you see how it all comes together! Of course you don't need to use DM on your Mod Podge jewelry, but if you've never used it before, you're going to fall in love (and if you do use it, please read my FAQ for that product!). You can get a basic set online or at the craft store. Typically the cheaper the findings, the more flimsy or lower quality – this has been my experience. I generally stick with sterling silver but it really depends on what I'm making. I like the Mod Podge metal blanks and Mod Podge acrylic shapes for my inexpensive jewelry projects. They look good but they don't break the bank! Ready for 20 Mod Podge jewelry projects? Scroll down to see them. Which one will you make first? 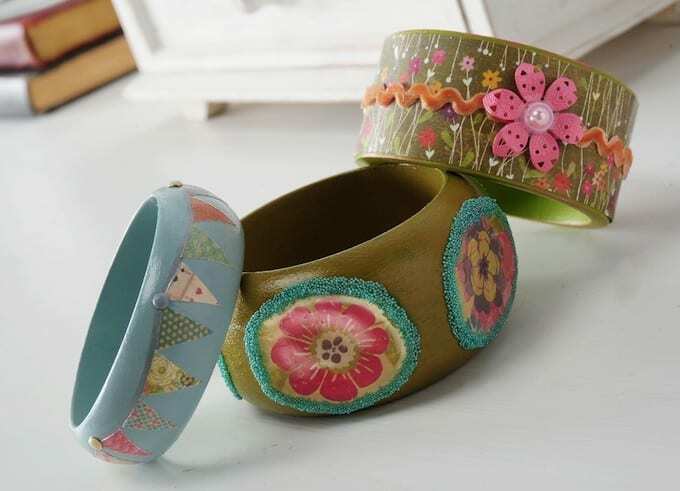 Use paint, your favorite papers, beads, and Dimensional Magic to make these fun and spunky bracelets. 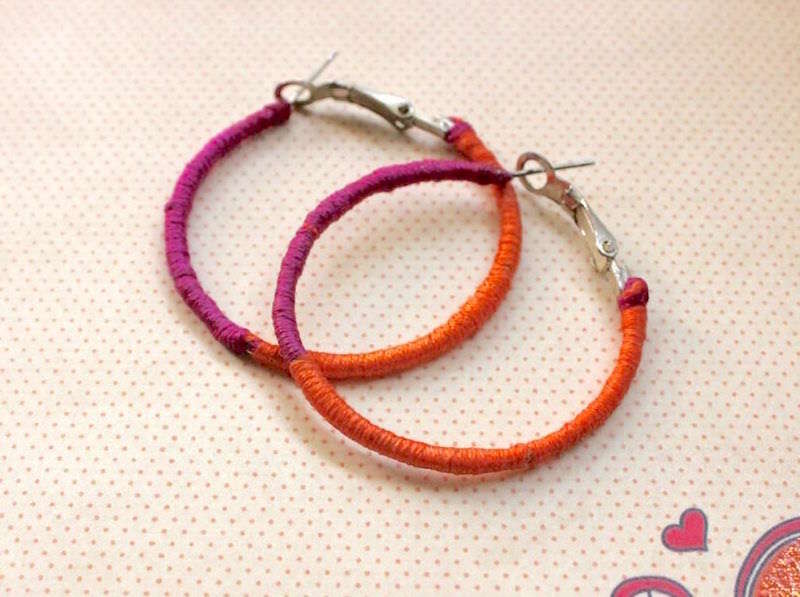 Makeover a couple sets of hoop earrings using bright colors of embroidery thread. Mod Podge ensures the thread never goes anywhere. 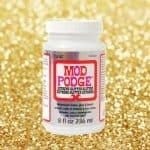 Mod Podge jewelry gets an upgrade! 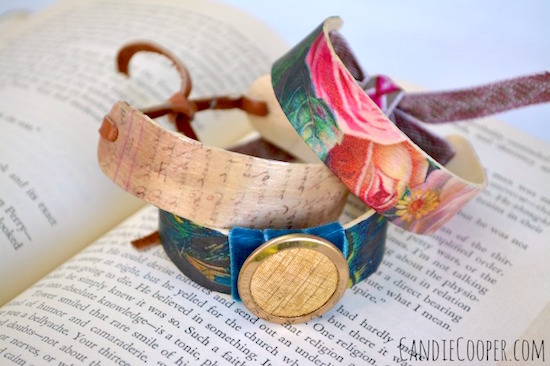 Use gorgeous rice paper with decoupage to make a beautiful bracelet. Use Mod Melts and Molds to create these fabulous and glittery gem rings. Make them for holidays, parties, dressing up . . . they are easy enough for even a kid to do! Did you know that you can use water to turn popsicle sticks into bracelets? 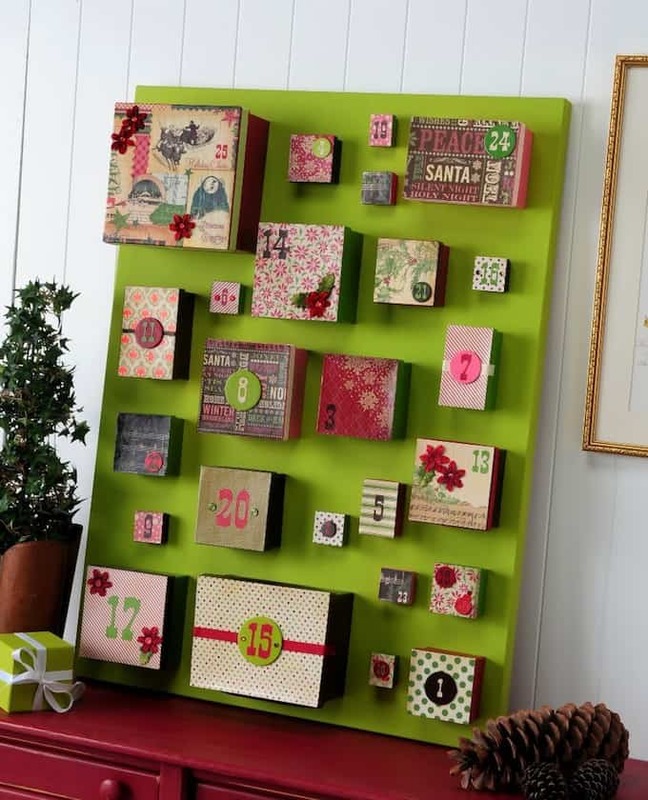 Candie used Craft Attitude to decorate them, but you can use scrapbook paper, tissue paper, napkins, or anything similar. 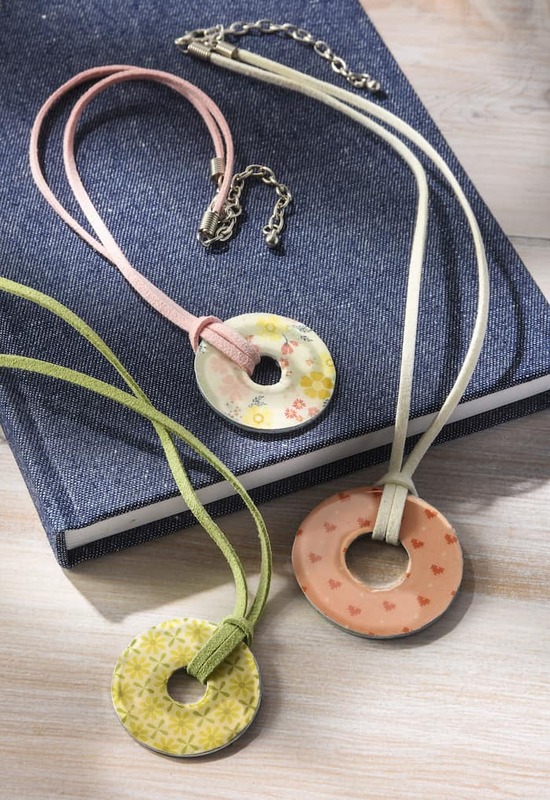 Use book pages to decorate pendants, then seal them with Mod Podge and let dry. Dimensional Magic to seal them. 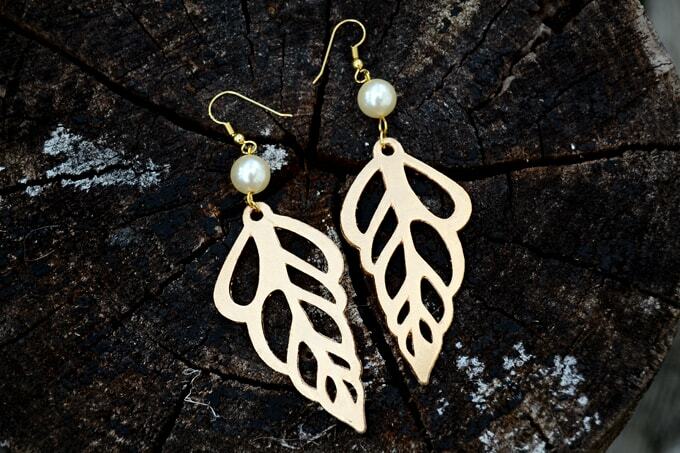 Can you believe these earrings are made of paper?? They're affordable, lightweight, and you won't have to worry they'll break easily! 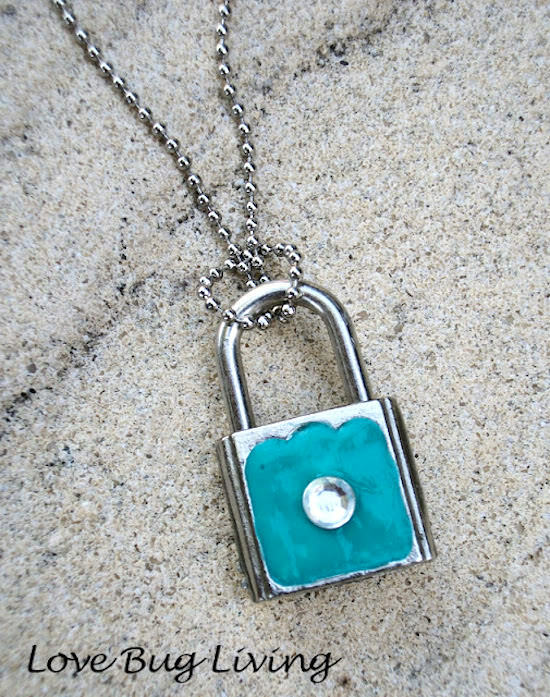 Create a designer inspired lock necklaces for a fraction of the price – using puffy paint and Mod Podge. Make a beaded bracelet or necklace using materials you already have at home, including scrapbook paper and magazines. 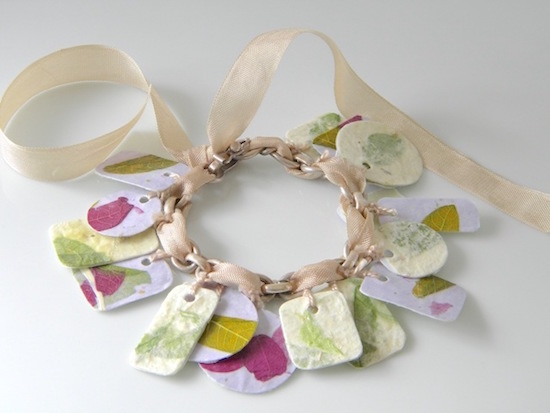 Make a trendy statement necklace using Fabric Mod Podge and faux flowers – well, and fabric of course. I used a stencil, Sharpie and shrinky dinks to make this unique pendant. 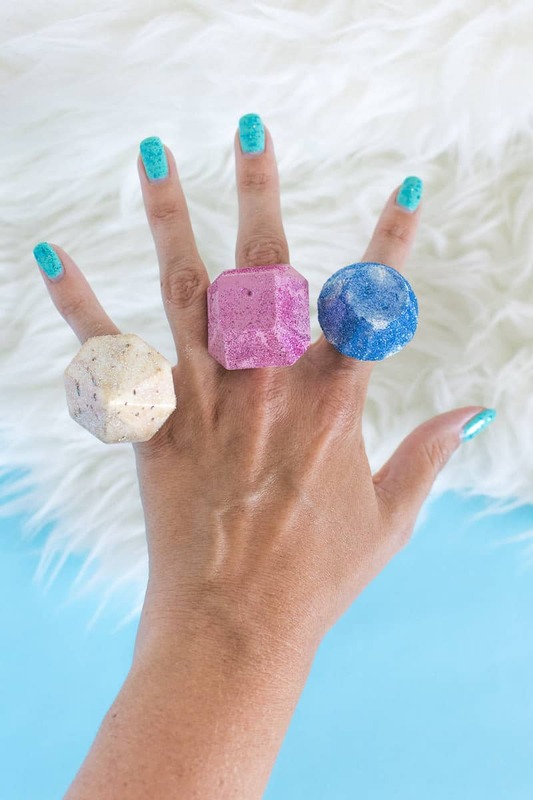 These DIY rings are super easy to make with microbeads and Dimensional Magic! 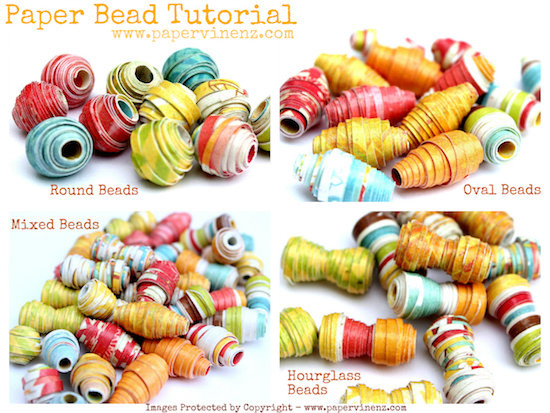 You can use almost any kind of small beads for the same effect. 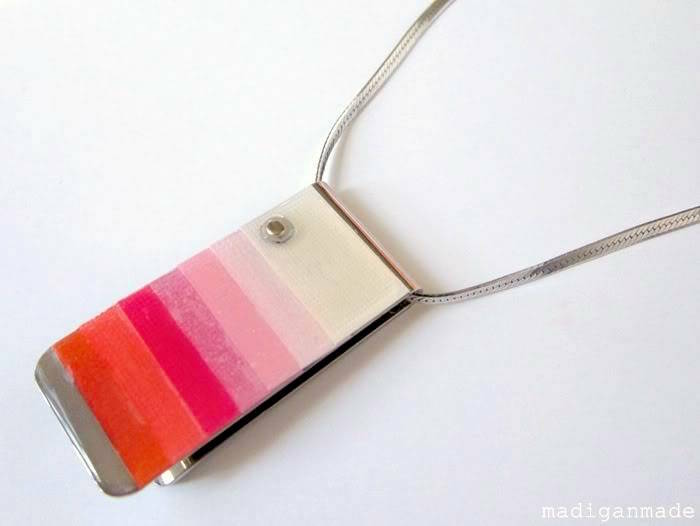 Everyone loves making necklaces with Mod Podge and Scrabble tiles – and it's so easy! 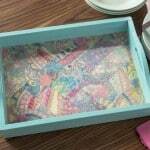 This is a great decoupage jewelry craft for adults and children alike. 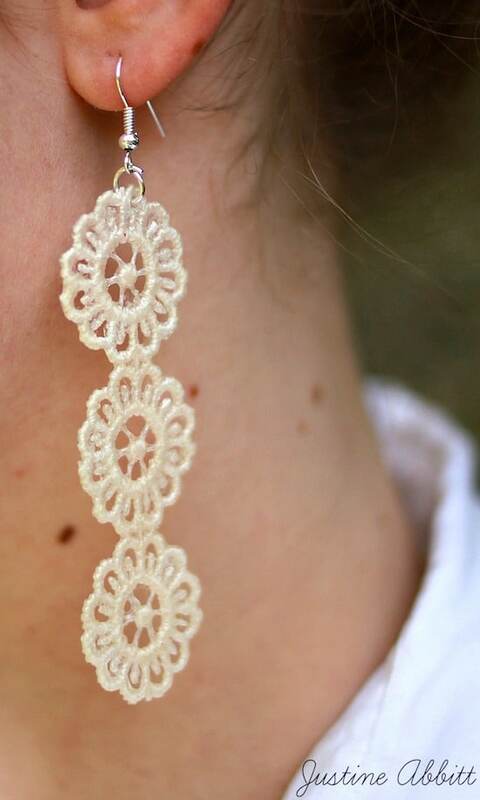 These gorgeous DIY lace earrings were made with some scraps that Justine had in her stash – they're so easy and make great gifts! 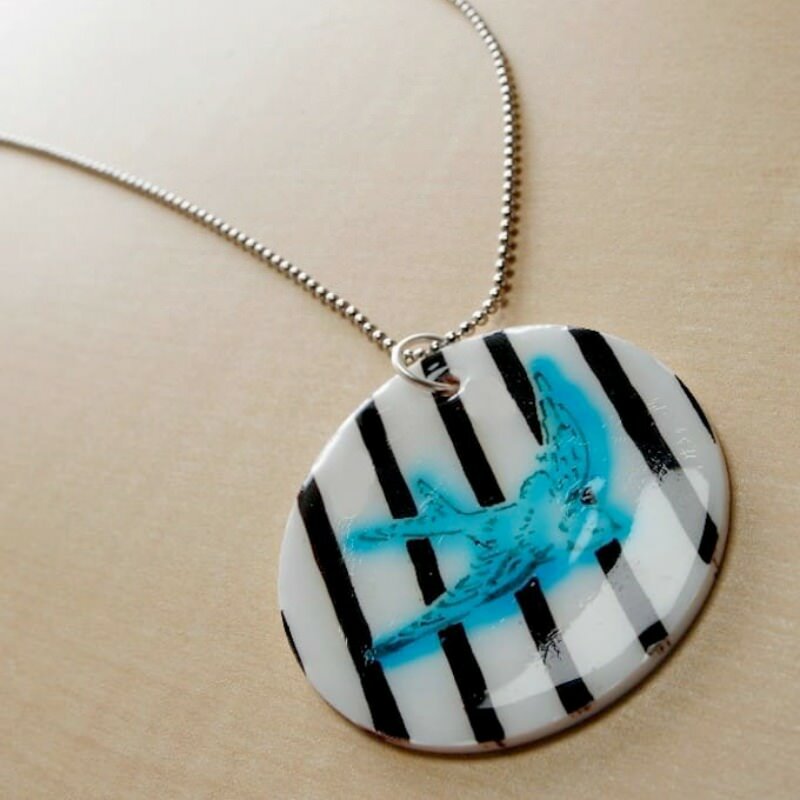 Shannon used an old money clip to make a colorful and interesting decoupage pendant. 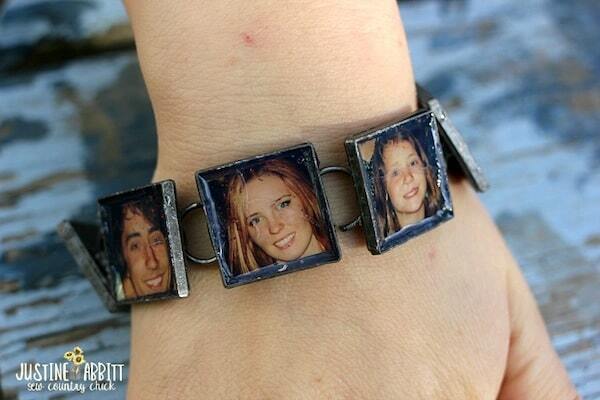 Use Mod Podge Dimensional Magic to make a fun bracelet featuring images of your family! This is so easy even a kid can make it – and it makes a great gift. 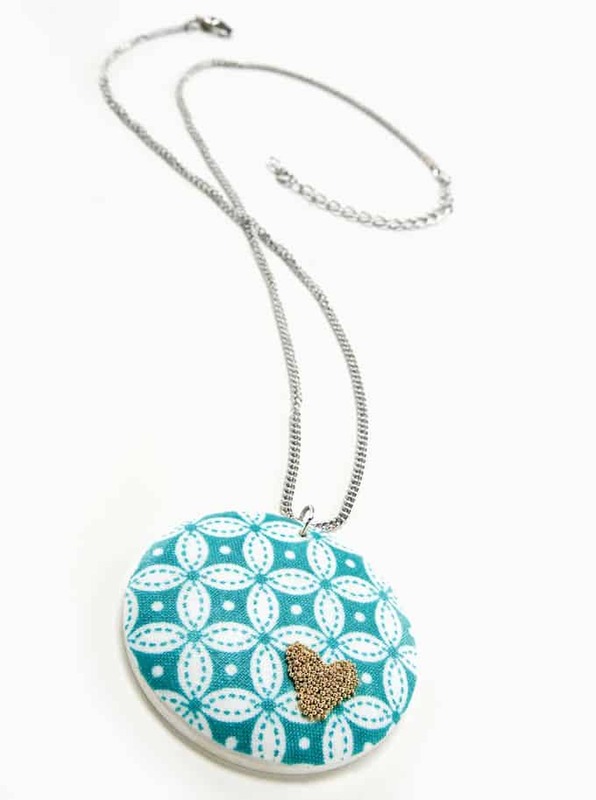 This decorative pendant is made using fabric and microbeads for the mini heart. You're going to love how easy this Mod Podge jewelry piece is. 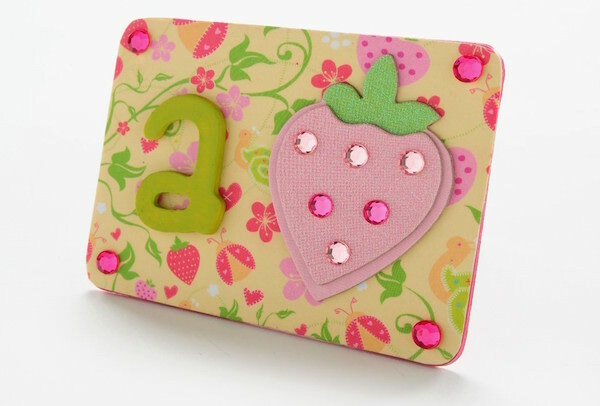 These personalized pins are great for embellishing bags and purses, and also make perfect gifts! Can you believe you can make Mod Podge jewelry from the equivalent of nuts and bolts? 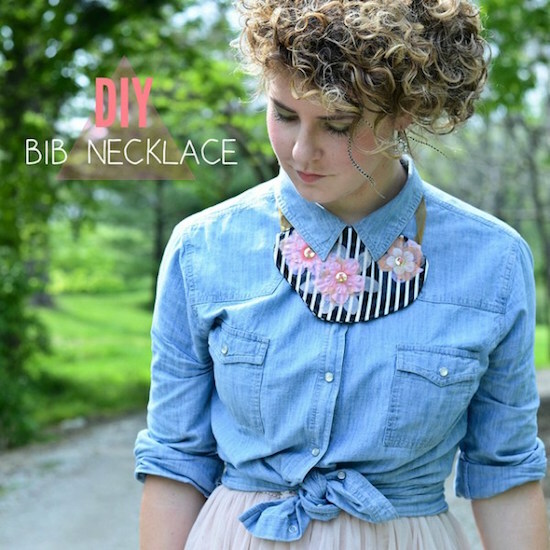 These necklaces using simple items from the hardware store: like washers! 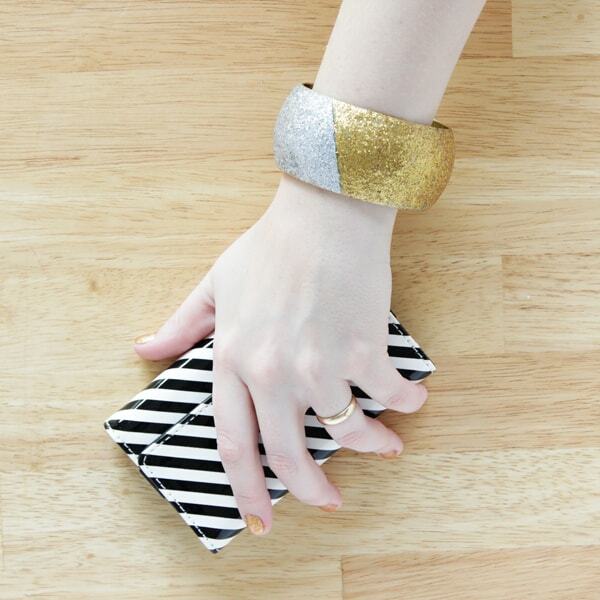 If you love glitter and you love bracelets, this is the project for you. This colorblocked glitter bangle is so easy to make with Mod Podge! Great roundup! Love too many of these to mention – but I think my fave is heather’s impressively cute washi tape necklace. Thanks so much for featuring my popsicle bracelets!! Thanks for agreat round up and featuring my pendant! Very wonderful mod podge jewelry collection! I’m surprised to see such interesting and unique designed jewelry. I like every snap. Thanks for sharing. Thanks so much for featuring my Tiffany inspired lock necklace. I’m honored!! Thank you so much for featuring my bracelet. There are so many great ideas here! Some really awesome projects. I would love to try some of the necklaces or bracelets. What a great collection of ideas. Honored to be included! 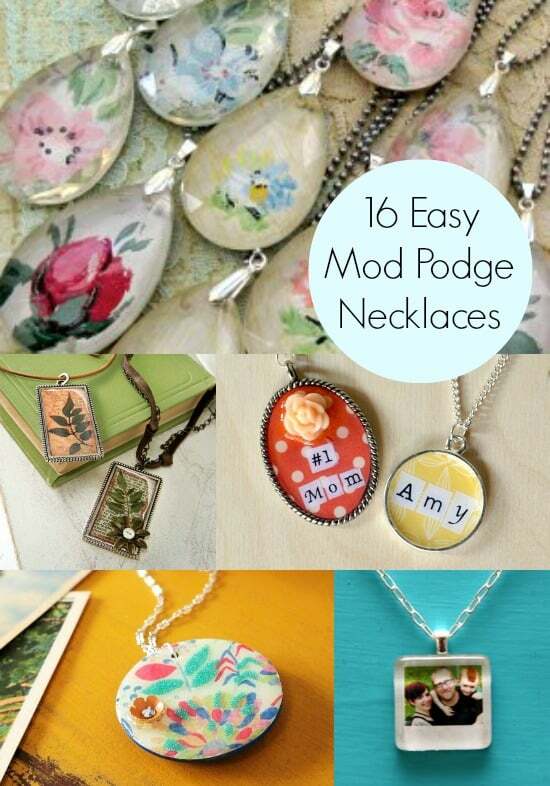 I love all of these–I need to restock my Mod Podge, clearly.